Katharine Hepburn (May 12, 1907–June 29, 2003) was a celebrated American actress who won a record four Academy Awards for Best Actress in a career that spanned seven decades. On screen, Hepburn often portrayed headstrong, strong-willed characters who stood up for themselves, which also defined her off-screen persona. Throughout the 1930s and 1940s, Hepburn was by turn labeled one of Hollywood's box office superstars and "box office poison." However, Hepburn asserted her independence by defying the studio system that dominated the era and pushed herself to improve her skills as an actress on both stage and screen. Katharine Hepburn was born in 1907 in Hartford, Connecticut, to Thomas Hepburn, a doctor, and Katharine Houghton, a women's rights activist. Hepburn's mother's work had a significant impact on the young Katharine Hepburn. Hepburn was interested in movies and acting from a young age. In 1928, Hepburn graduated from Bryn Mawr College, where she performed in school plays. After college, she immediately pursued an acting career, and shortly after moved to New York City. She made her Broadway debut in November 1928 in the short-lived play These Days, and then worked as an understudy for another Broadway play, Holiday. During that period, she married Ludlow Ogden Smith in December 1928, though the marriage ended in divorce in 1934. After several other roles on Broadway and in Connecticut, Hepburn was invited to Hollywood to screen-test for the RKO Studios melodrama A Bill of Divorcement (1932), directed by George Cukor. Cukor hired Hepburn and would go on to cast her in eight films and two television movies from 1932 through 1979. Hepburn won her first Academy Award for Best Actress for her third film, the drama Morning Glory, which was also a box office hit. However, Hepburn had a disastrous return to Broadway in December 1933 with The Lake at the Martin Beck Theatre (now known as the Al Hirschfeld Theatre). Her subsequent films failed to grab audiences, including the critically-acclaimed Bringing Up Baby (1938), which is now considered one of the highlights of the screwball comedy genre. The poor performance of Hepburn's films at the box office during the mid to late 1930s has been blamed on Hepburn refusing to act as other Hollywood stars did toward the public. Hepburn rarely granted interviews, refused to sign autographs, and tended to wear blouses and pants in public appearances rather than the glamorous dresses that most other female stars wore. As a result, Hepburn rarely received the promotion that other Hollywood stars obtained, and what coverage she did receive often depicted her in an unflattering light. Several weeks after the unsuccessful box office performance of Bringing Up Baby, an infamous May 1938 article in Independent Film Journal named Hepburn as one of eleven actors whose "box office draw is nil." In response to the dim career prospects that were reflected by the article, Hepburn made the extremely rare move of buying out her RKO contract, which allowed her to make her own career moves. This led to Hepburn leaving Hollywood (including ending a four-year relationship to millionaire Howard Hughes) to star in The Philadelphia Story on Broadway at the Shubert Theatre. In the comedy, Hepburn portrayed a socialite faced with two suitors—one of whom is her character's former husband—just days before her second wedding. Hepburn starred in the highly successful production from March 1939 to March 1940, and then reprised her role in the MGM film adaptation opposite Cary Grant and James Stewart, which was released in December 1940. Hepburn had received the film rights from Howard Hughes as part of her deal to perform the play on Broadway and was able to negotiate her own terms for the film version. In 1942, Hepburn starred in Woman of the Year, the first of nine films she would make opposite Spencer Tracy. During filming, Hepburn and Tracy began a romantic relationship that lasted until Tracy died in June 1967, though Tracy remained married to his wife, Louise Tracy, for the rest of his life. Their films together include State of the Union (1948), Adam's Rib (1949), Desk Set (1957), and Guess Who's Coming to Dinner (1967). However, Hepburn's Hollywood career again took a noticeable downturn in the late 1940s after she became an outspoken opponent of the Hollywood Blacklist, which involved the studios preventing communists and suspected communists from working in Hollywood. She faced opposition for her support of blacklisted artists both within Hollywood and by the public boycotting her films. By 1950, Hepburn had spent most of the last dozen years of her screen career playing strong-willed women in romantic comedies and dramas alike, and she began the next phase of her career by starring in William Shakespeare's As You Like It on Broadway at the Cort Theatre from January through July 1950. On screen, she returned to her familiar character type by playing a strict missionary opposite a coarse boat steam captain played by Humphrey Bogart in The African Queen (1951), considered by critics to be one of her finest roles. This began what critics have dubbed her "spinster" phase, in which Hepburn played a series of unmarried, middle-aged women who find love with unexpected partners, such as in Summertime (1955) and The Rainmaker (1956). In between film roles, she continued to appear in Shakespeare performances on stages in both Australia and with the American Shakespeare Theatre in Stratford, Connecticut. Hepburn's on-screen appearances were limited in the 1960s as she cared for Spencer Tracy, who died in June 1967 shortly after finishing work on Guess Who's Coming to Dinner, which was released later that year. She earned praise and an Oscar nomination for starring in Long Day's Journey into Night (1962), an adaptation of Eugene O'Neill's drama. She won back-to-back Oscars for her roles in Guess Who's Coming to Dinner (1967) and The Lion in Winter (1968). Curiously, the latter Oscar was shared with Barbra Streisand for her role in Funny Girl (1968) because of an extremely rare tie in the voting. Following her second and third Oscar wins, Hepburn divided her time over the next 25 years in film, television movies, and on stage. Highlights include her Tony Award-nominated performance in Broadway's Coco in 1969 through 1970, the 1973 television version of Tennessee Williams' drama The Glass Menagerie, her Emmy Award-winning performance in the 1975 television movie Love Among the Ruins, and the 1981 film On Golden Pond, for which she was awarded her fourth Oscar for Best Actress. In 1994, she appeared in both her final film (Love Affair) and also in her final television movie (One Christmas). Hepburn died on June 23, 2003, in her family home in Fenwick, Connecticut, at the age of 96. With four Oscar wins, Hepburn has won more Oscars for acting than any other individual (but because she shunned publicity she did not accept any of them in person), and in 1999 was voted as the top female star of all time in the American Film Institute's "100 Years...100 Stars" poll. She received a star on the Hollywood Walk of Fame in 1960. Hepburn received a Lifetime Achievement Award from the Screen Actors Guild in 1980 and was honored by the Kennedy Center in 1990. A museum devoted to Hepburn's life and works is located at the The Katharine Hepburn Cultural Arts Center in Old Saybrook, Connecticut. Hepburn, Katharine. Me: Stories of My Life. Alfred A. Knopf, 1991. Bergan, Ronald. 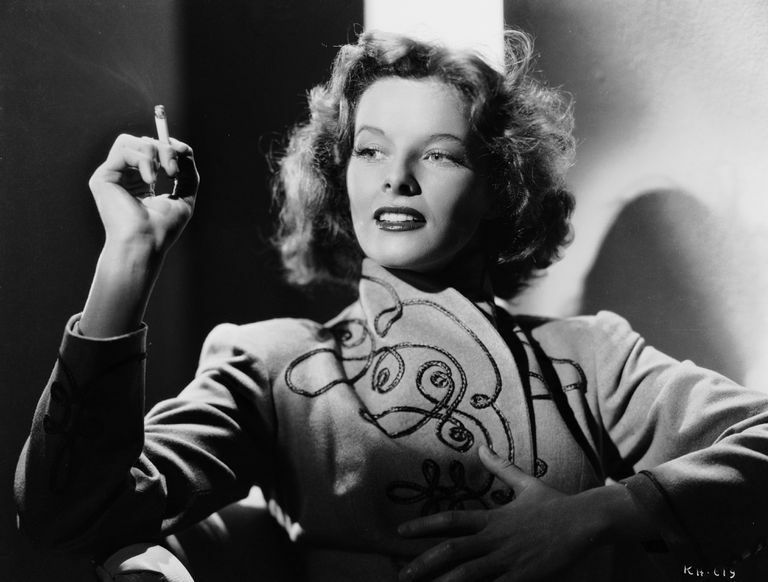 Katharine Hepburn: An Independent Woman. Arcade, 2013. Longworth, Karina, narrator. 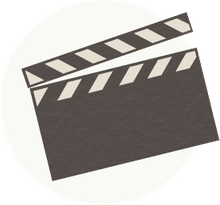 "The Blacklist Episode 4: The African Queen: Humphrey Bogart, Katharine Hepburn and John Huston." You Must Remember This, 29 February 2016.